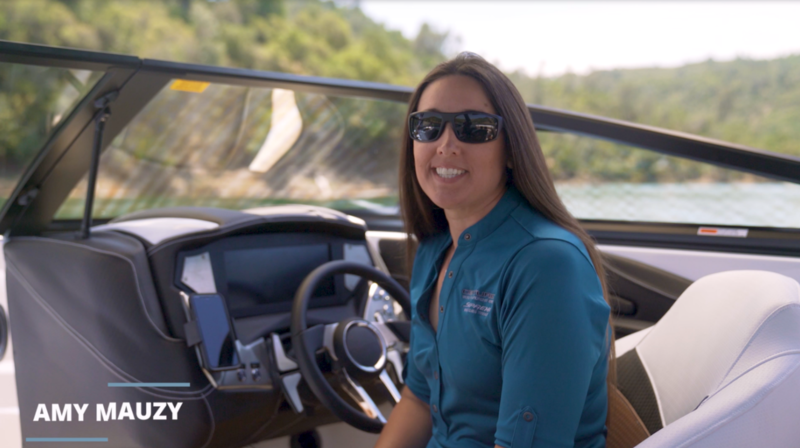 MERCED, CA (February 7, 2019) – Centurion & Supreme Boats is pleased to announce that Amy Mauzy, Vice President of Sales and Marketing, was nominated for the Women Making Waves award presented by Boating Industry Magazine. Women Making Waves is an award for women in any marine company that shows vision and leadership to move the industry forward. This award will be presented to industry thought leaders who are working tirelessly within their market niche to set new standards for excellence that will publish in the March/April print and online issues of Boating Industry. Amy Mauzy has been nominated by industry peers for her impact and contributions to the marine industry. Boating Industry will highlight Mauzy and her hard work. She has been the Vice President of Sales and Marketing for three years at Centurion & Supreme and has had a career in the marine industry for 21 years. Mauzy is the only female Vice President within the manufacturing towboat companies. Under Mauzy’s leadership, sales of both Centurion & Supreme brands have grown over 30% in the past three years. She also concepted and executed the “Salute to Service” Limited Edition Boat launch recognizing and honoring our military and first responders along with generous donations to charitable organizations. She is passionate about creating leaders in her department and is a culture driver within the organization leading and participating in many community service days. Amongst her career success, she is a mother of two boys and balances being a full time mother and wife. The program is Boating Industry’s effort to recognize the numerous women in the boating industry who have made large contributions to the industry’s success, propelled its growth and led their organizations into the future.